Good day to dear reader and visitor of my mom's best. 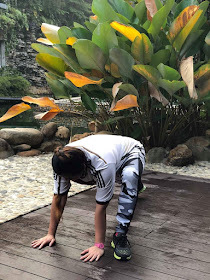 Yeah it's the weekend where everyone is busy with their lifestyle, busy parenting also need to take care our health too. 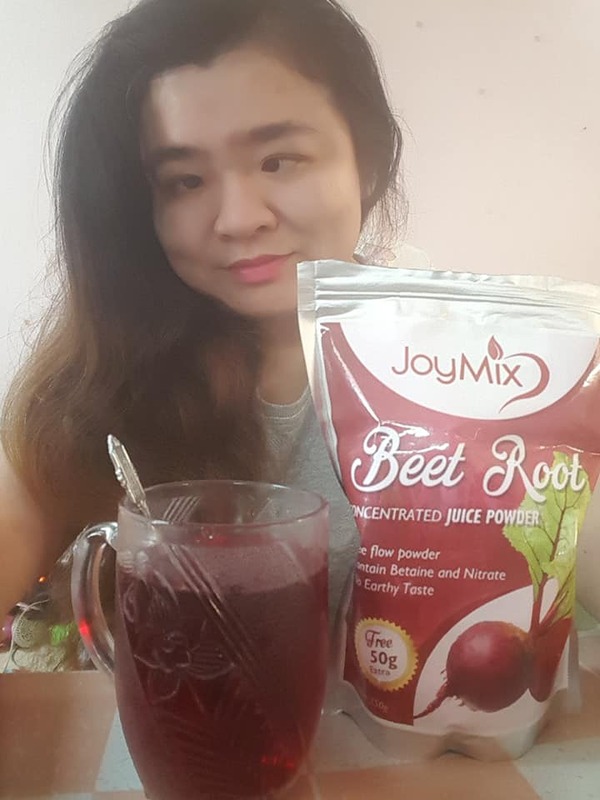 I am sure you heard of beet root, its good for health and now there's Internet access we can shop online from home and office. 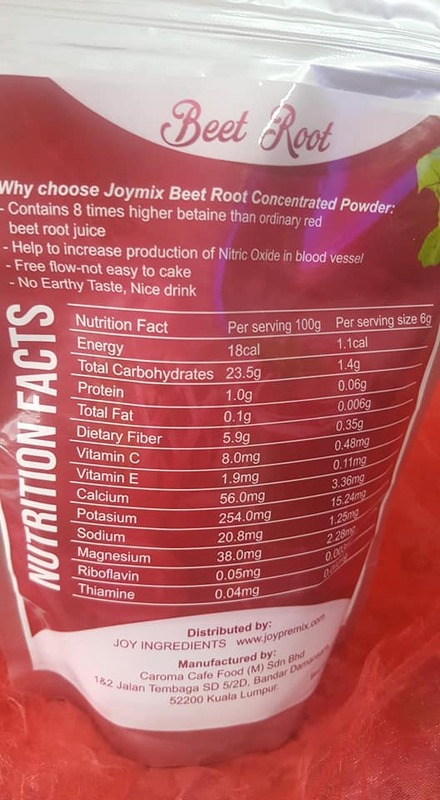 JoyMix Beet Root concentrated juice powder, it is 250g and now Free 50g Extra. The Red beetroot is one of the superfood and it's highly recommended by dietician and fitness experts. 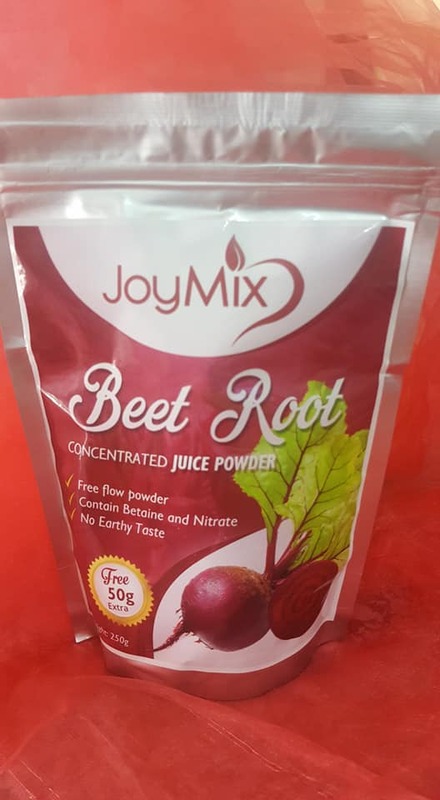 We need everyday nutrition and now we can choose JoyMix Beet Root, this is beet root concentrated powder and has contains 8 times highet betaine than ordinary red beet root juice. It help to increase production of Nitric Oxide in blood vessel. It is free flow-not easy to cake. No Earthy taste, and nice to drink. It contains of Vitamin A, C and has vitamins B1 (thiamine) and B2 (riboflavin) in small quantities. Suitable for everyone to drink especially mothers. Yeah mom like us busy parenting how often do we take care of ourselves? There's menstrual period time that we even feel more exhausted and tired. Have a glass of beet root juice daily, loving this powder form as it's easy to dissolve in water. Red Beetroot Concentrated Powder by Joymix, it comes with a zip on top which is nice packaging that you can sealed it back after opening. The powder formed of root beet provide many goodness for health providing the nutrition of the natural occurring vegetables. No need go through the cutting and the peeling process of the beet root. Now with this Joymix Beet Rot Concentrated powder you can bring this pack for travel too. It's convenient pack for home or office, the powder can be used for baking cake, pastry, and other bakery. Smell-less as it didn't give any strong smell. It contained of 1 Calorie Per Serving, Joymix red beet root powder containing just 18 calories of per 100g. The recommended serving size is 6 to 10g meaning each serving only has around one calorie. Great for older adults to prevent and halt the process of dementia of in older adults. Sharing is caring, having busy hectic lifestyle, there's time for yourself. Take charge now don't neglect yourself and loved ones. 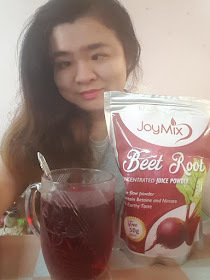 Don't just read here, you can get start having to make your own Beet Root juice, to shop for JoyMix Beet Root Concentrated Juice Powder click on the link now. Nowadays, there's variety of supplements in the market for both health and beauty right. This is the first product I know using beet root. I'm wondering how does it taste ya? I believe the supplement would help form inner part of the body. Good to know that there are so many health benefits of this beet root concentrated juice. Since it is also good for weight management I am sure it will be ideal for women. The color really says beet root. I wonder if it taste like beet root too. And yes, we have to take care of ourselves first before we can care for others. Joymix ni dlu ada keluaran yg berasaskan soya kan.. Soya collagen xsilap.. Skrg dh de utk healthy pula.. Menarik boleh la nk try nnti..
wow! looks good to drink beet root concentrated juice... so many benefits with the red drinks.. 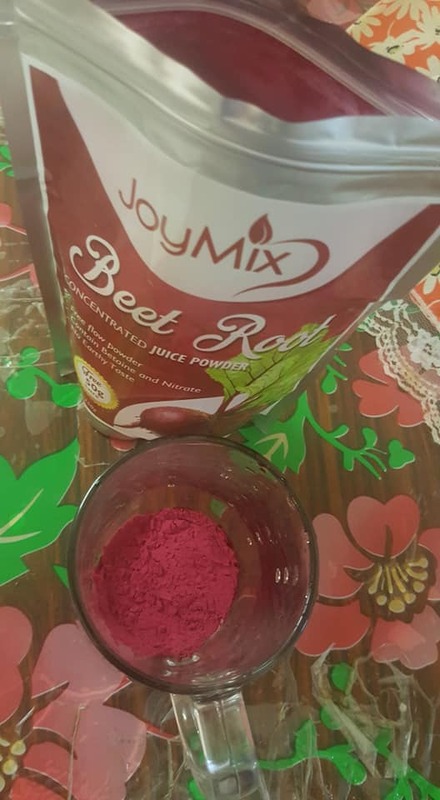 This one kita suka sebab nak dapatkan khasiat beet root untuk tubuh nak makan macam tu memang tak lah tapi bila ada powder macam ni sangat mudah hari-hari boleh ambil begitu jer..
Tak pernah minum.. Tapi tahu akan kelebihan beet root tu sendiri. Kat pasaraya boleh jumpa ke?